… and everyone else who I missed. You're all amazing. Thank you! Remember, this is a hardware root, so you will need experience with a soldering iron. All the hardware modifications needed for this tablet are pretty easy even if you have never soldered before. However, especially in the case of hardware modifications, there is a chance you can permanently brick your tablet. If you follow this guide, don't hold me responsible if you break things. Preparation - Gather the materials, build an SD card adapter, etc. Testing and Cleanup - Checking for root, removing the SD card adapter, reassembly. An SD card reader that can read in 1-bit mode. This one will work. 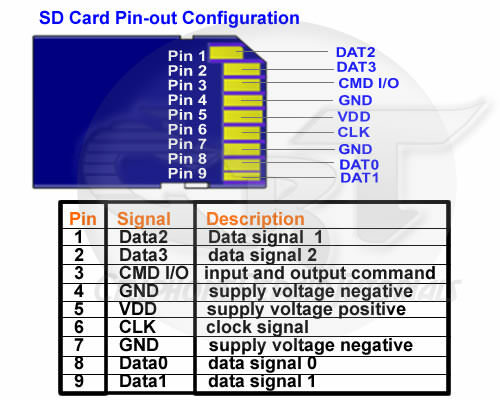 If you already have a reader you'd like to try, find a working SD card and referring to this diagram use some electrical tape to cover up pins 1, 2, and 9 (DAT 1-3). If you plug in the card and it still reads, then the reader will work. 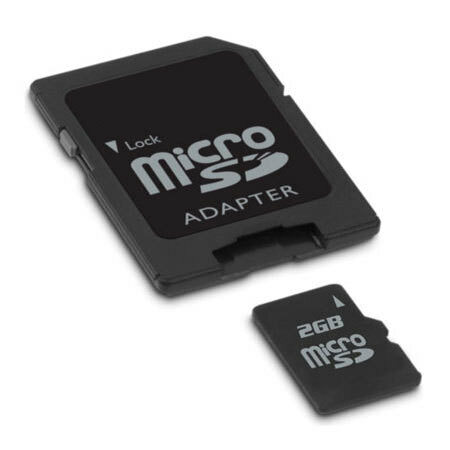 A micro-sd card adapter. This will be taken apart so you can solder to the inside. A soldering iron, solder, and experience. Some thin wire. I like to use some 28 AWG magnet wire since it has an insulative enamel coating to prevent short circuits. A small phillips head screwdriver to remove the motherboard. Either a linux-based computer or a virtual machine running linux through which you can mount a raw physical disk from the host computer. VirtualBox can do this and I will show you how. Experience using Linux commands and mounting partitions. 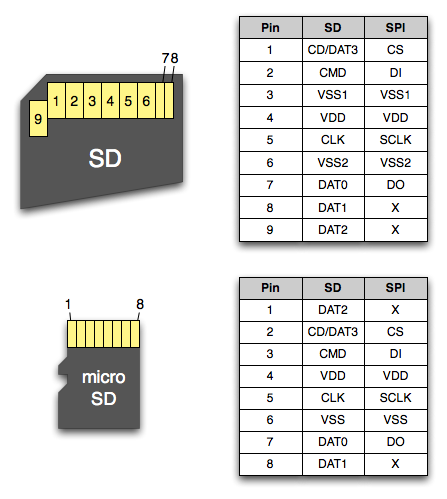 SD Card Pinout (Ignore column SPI. VSS = GND). I recommend putting some tape on the wires and writing what they are so you don't lose track after putting the adapter back together (or in my case, wrapping tape around the adapter because I broke the shell). Also, you will need to either make sure that the sliding lock on the side of the adapter is still there (or fill it in so that there's no more indent) or take apart your SD card reader and ground the read-only pin so that the reader allows you to write to the card. (Grounding it makes it writable, having it open makes it read-only). This pin is located to the far left of the reader when the opening is facing you and the card is facing up. Use a pry tool to take apart the tablet at the seam. There are no ribbon cables connecting the back cover to the front so you can just pull it off. Start at the bottom, and pull upwards so that the fulcrum is on the top of the tablet where the USB port is. This is the easiest way to get it off. Next, unscrew the screws near the top of the board. Remove the tape covering the camera and disconnect the camera. It just pops off with your pry tool. There is a battery connector at the bottom right, an LCD connector at the bottom left, and a touch screen connector at top center. The battery connector pops out without lifting any hinges. Use tweezers to get underneath the wires and pop it up out of the slot. Lift up the hinge on the touch screen connector and use something very thin to get underneath the glued down ribbon cable. Be careful not to break things. 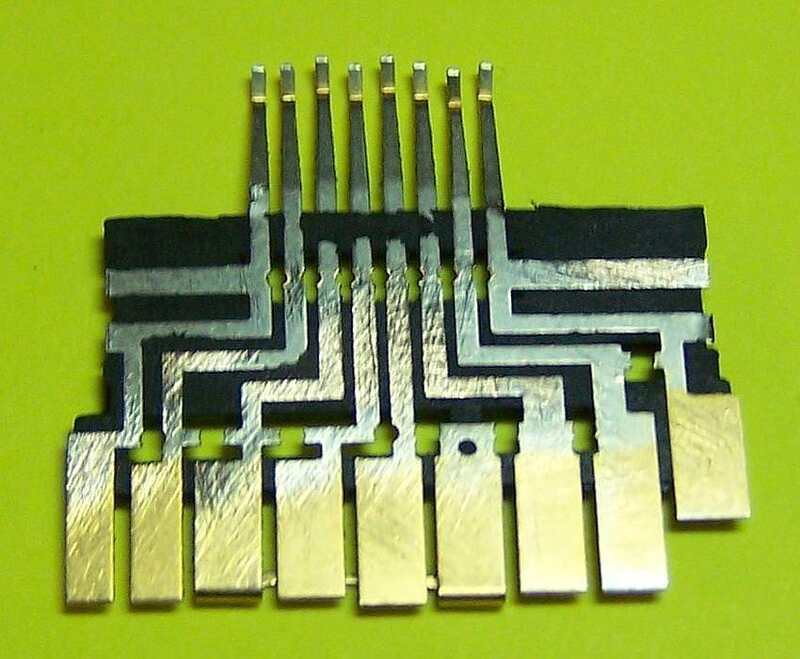 Once it's free from the glue, slide the ribbon cable sideways to pull it out from the connector. Lift the hinge on the LCD connector. Now, take the board from the top and lift upwards. Stick something under the board to break free some of the glue underneath while you pull upwards. This time the fulcrum of the motherboard is where the LCD and battery connector are. Do be cautious, there are speaker wires at the bottom right to be aware of. Once you have it lifted up most of the way, you can slide it out from under the plastic parts near the power connector and fold it sideways towards the right side of the tablet. The speaker wires act as a hinge. If all goes well you should be looking at the back of the motherboard right now. 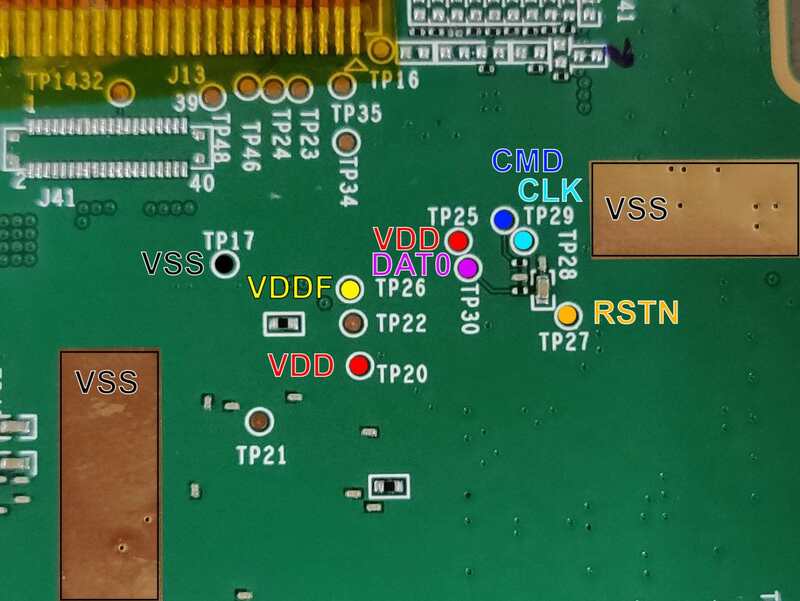 Solder the wires from the sd card adapter to the respective test points in this diagram. VSS means GND. Once done with this, fold the motherboard back over and plug the ribbon cables back in. Plug in the power cable last. Loosely put the tablet back into its cover so that you don't crush the wires you just soldered, but also to protect the tablet from short circuiting on your table or something. Plug your SD card reader into your computer, but do not plug in the SD card adapter. Power up your tablet with the volume down button pressed. At the recovery, use the volume keys to navigate to "Enter bootloader" but DO NOT press power yet. You need to be ready. Within half a second of pressing power you need to plug the SD card adapter into the reader. This is the most reliable way I have gotten the reader to talk to the eMMC chip. If all goes well you will see all the partitions appear on your computer. On Windows, check disk manager to see them all. On Ubuntu, use the disks program. When on Windows, it will pop up probably 20 different windows asking you to format drives. CLICK NO. And no and no and no and .... You do not want to format your eMMC lmao. Now just leave the card plugged in and don't touch the tablet. Don't even breathe on it. Ok this is the most difficult part. On Windows you need to get a linux virtual machine. I prefer to use Ubuntu for this. I also use VirtualBox to run the VM and I can't help you if you don't use it. If you are already using Linux this will make things easier, but if you must use Windows, then you need to mount the eMMC on your virtual machine. Where the # at the end is the disk number you found earlier (mine was 2), and "<user_name>" is obviously the name of your account. This should make a vmdk file on your desktop and be successful. Then you can open your VirtualBox settings for your VM, go to Storage, SATA, and add an existing drive being that vmdk file that just got created. Now boot the machine, and the drive will disappear off Windows but will reappear inside the VM. Please note that VirtualBox must be running as an administrator. Now, in linux, mount the system partition (it should be about 1.5GB and will usually be partition 14). Open a terminal into it. Did I say the last part was most difficult? Well this one is most time-consuming and most easy to do wrong. Here we go! Extract your SuperSU zip that you downloaded. You only need to keep two folders: common and arm64. You will copy the files from these folders into the system partition and set permissions as follows. Note: When you see 4 numbers like 0644, this is referring to the permissions to set via chmod. Note 3: All files copied or created will be owned by root:root. If you use sudo for these commands or do them as root, you'll be fine. That's it! Now properly unmount and eject your SD card and boot up your device. If all goes well you'll find a SuperSU app on your homescreen. Run it and it will probably tell you to update the su binary. Do so, restart, and then you should have root! Congrats! Make sure to go into settings and set it to grant rather than prompt. Power down your device, unplug the cables, flip the board, desolder the wires, flip the board again, plug in the cables, put your camera back in, and then screw it all back together and slap on the back cover. You did it! I will add troubleshooting steps here as time goes on. And you're right, it's definitely not the easiest. I want to make a video tutorial sometime. I have little experience making video tutorials so we'll see. Wow, this is outstanding! First, @</br>, thanks for all the work. You really got into the system and I love what you have found. Unfortunately I am not really good with hardware (totally sw guy) but I will find someone who might help me out here. Again, thanks for all your hard work! I don't know Linux and I don't know how to solder but what the hell I've got an unused 7th gen hd8 sitting here and I'm pretty methodical so why not give it a go eh? Just for fun. YAY!!! Finally, After almost a year of brainstorming by lots of people, and 700+ posts in the progress thread, we have root! THANK YOU for the work you put into this! A pity that after so much time finally a root is found, but I can't do it (because it involves soldering which is a thing I can't do for a lot of reasons LOL). So, the progress thread will continue searching for a software root, and of course the next step, a bootloader unlock! You helped a couple of my ideas for a software root too, by full access to the eMMC dump. Thank you again for your great work, and everyone, good luck hardware modding! Right now I don't have the supplies or means to get them. Otherwise I'd have already started this AM. Right now I'm focused on looking at the partitions to get these things unlocked, whether i have help and advice, or not. I'd prefer help, but as with most of my work, I am sure I'll eventually figure it it out on my own. With that being said, is anyone going to clarify what @diplomatic was talking about? I don't like receiving half of the advice/instructions. I have the same Transcend SD card reader which I use to copy files to and from my Amazon tablets with a USB OTG cable. I was wondering if it would be possible to use a rooted Fire 7 (2015) or Fire HD 10 (2017) with Busybox installed to copy the SuperSU files and set permissions using a terminal emulator with a root shell, instead of a Linux machine/ virtual machine? I am happy to break a couple of micro SD adapters to connect up the eMMC, but I am anxious about soldering to the motherboard. Is just taping the wires to the motherboard feasible, or is this just not robust enough? Right now, this is a little too hard for me to attempt, but great job! Congratulations on figuring out how to root this stubborn thing! The way I understand it, you're looking for the address of the unlock 'partition' so if you flash a text file with renamed file extension to it then you can trawl through address space till you find the text you recognize. Then you'll be able to work out where it is. It might overflow to or from another area but knowing the content of the file will enable you to figure out where correct offsets are....or something like that. Just my interpretation.